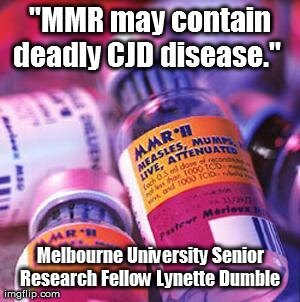 "Take this classic sequence from the Senate hearing on April 6th this year about MMR and autism. Professor OLeary from Ireland was confirming that his evidence proved that Dr Andrew Wakefield was right. Our friendly Dr Paul Offit showed his true colours with this response: "He cannot have found something that suggests a link between autism and vaccines, because of the possible consequences of such a finding." Consequences to what? Paul Offits cushy job flying around the world teaching doctors vaccines are safe? .. Paul Offits professional reputation? Paul Offits self-esteem? Searching for children who had not been exposed to mercury in vaccines -- the kind of population that scientists typically use as a "control" in experiments -- Dan Olmsted scoured the Amish of Lancaster County, Pennsylvania, who refuse to immunize their infants. Given the national rate of autism, Olmsted calculated that there should be 130 autistics among the Amish. He found only four. One had been exposed to high levels of mercury from a power plant. The other three -- including one child adopted from outside the Amish community -- had received their vaccines.----Deadly Immunity By ROBERT F. KENNEDY JR.